Students: Please use this applet to complete the Perpendicular Lines Investigation you received at the beginning of class. 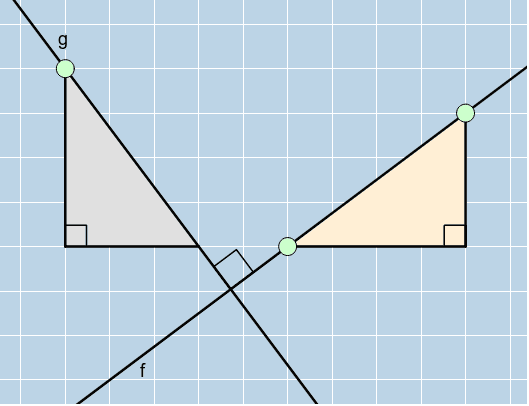 Note that line f and line g are always perpendicular (intersect to form a right angle)! Note: The BIG GREEN POINTS can be dragged anywhere you like.